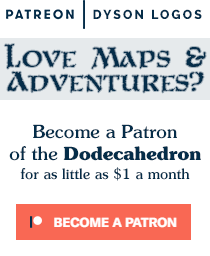 Pockets Full of Peril – Mini Dungeons Ahoy! Fenway over at SWORD & SHIELD has been posting nice little micro-dungeons that fit on both sides of an index card. The coup de grace from my perspective? He’s using my geomorphs to build them. He’s got two up on the site right now, so head on over and check them out! That is an awesome idea. I think I am actually going to try using these geomorphs if you don’t mind. I’ll be sure to link to your site. Of course! Use away! That’s what they are for. Posted Pocket Full of Peril #4 using 2 more of your geomorphs today!